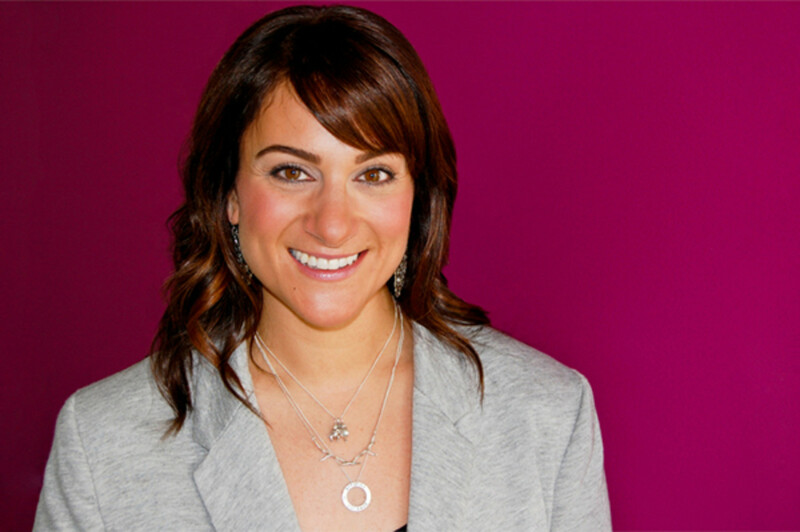 Vancouver-based brow expert Alisha Noon. When it comes to those pesky arches above your eyes, Vancouver-based Alisha Noon is a girl in the know. A former flight attendant, she used to beautify her crew on layovers and did makeup for friends&apos; weddings before striking out on her own as a makeup artist and brow specialist. It&apos;s in the latter line of work that she&apos;s regularly referred to as a "life changer" and "miracle worker" by anyone who has had the pleasure of sitting in front of her discerning eye. 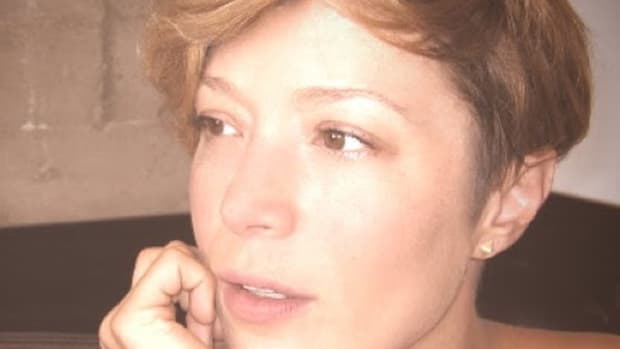 I graduated from the Blanche Macdonald (a Vancouver-based fashion and esthetics college) before landing a spot as the head of the makeup department at Citytv. I worked there for four years, doing freelance eyebrows and makeup on the side at BeautyMark in Yaletown. Eventually, it got to the point where my freelance demands were more than I could handle with a full-time job, so I decided to take a leap and go completely on my own—which is what I’ve been doing ever since. Over the years, I’ve worked with everyone from Zooey Deschanel and Michael Bublé to CTV news anchor Tamara Taggart and BC Premier Christy Clark. How did you become an eyebrow expert? I always like to say, "Makeup is my passion, but eyebrows are my obsession." Brows are something that I just kind of see. I’ve spent a lot of time talking to people in the field, doing research and practicing with different products. I think what helped me the most is that in high school, I tweezed my eyebrows for the first time based on a picture of Niki Taylor. When I got my school photos back, I was like, “Oh no!" If you compared the photo of Niki’s brows to mine, they were exactly the same—but I wasn’t Niki Taylor. I learned to study the face and figure out how to create the best frame. There are no real trends with brows. The best trend is what looks good on you. What are the most common mistakes people make when shaping their eyebrows? Over-tweezing, for sure. 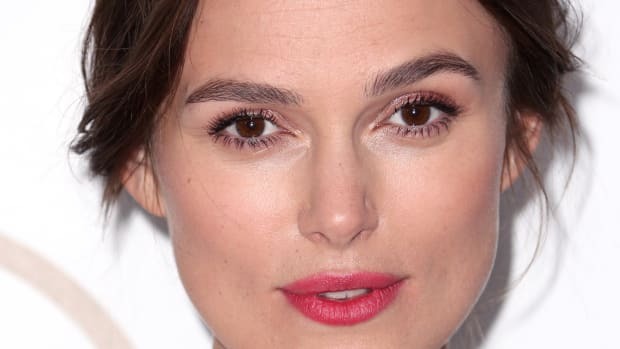 A lot of people tweeze into the brow because they think it opens up the eyes and makes them look younger, but it actually has the opposite effect. There’s also people who think they’re being conservative by only tweezing in the arch, but they end up with sperm brows (a big clump with a skinny end) or the upside-down hockey stick. Is there a secret to having great brows? My best advice is to seek out some professional help to get you going and then use that as a guide. You don’t have to go into the salon all the time, but at least go once so that you know what to do and what works best for your face. Ideally, if you can check in with a professional every four to six weeks, that’s best, but if that sounds too high-maintenance, going once a season will make a huge difference. 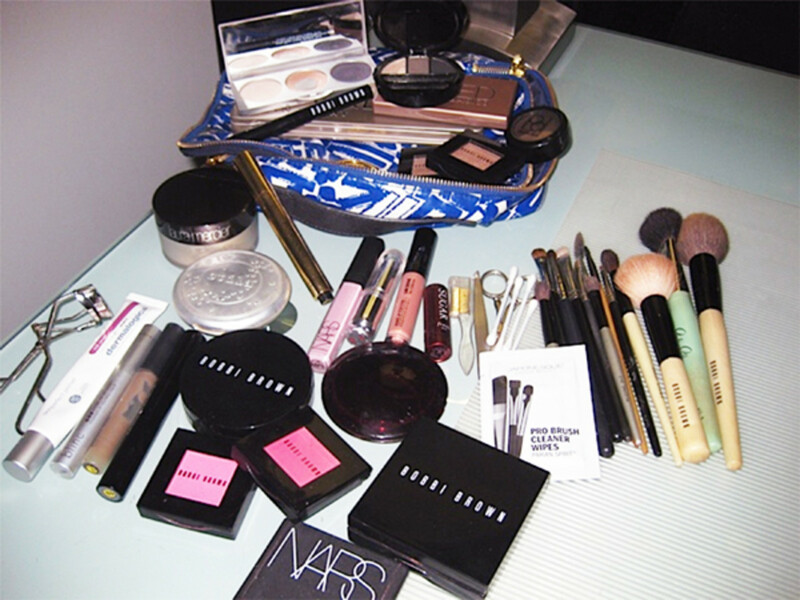 How does your work as a makeup artist influence your day-to-day beauty regimen? Funnily enough, I think working in makeup has actually made me a little lower-maintenance when it comes to my own beauty regimen. I truly believe that your inner light should shine from within and that makeup is kind of like the frosting. I try to be true to who I am and to accept certain things about myself that I maybe feel a little self-conscious about. This is the same thing I am always encouraging my clients to do, as well. Instead of covering your face with makeup, you want to put your best face forward. Does your profession make you feel pressured to look perfect all the time? Yes and no. I honestly don’t think my clients would care if I showed up sweaty in my Lululemons, but I personally like to pull myself together because when I look professional, I feel more professional. When I was working with Premier Christy Clark, we talked about how sometimes, in order to feel confident on the inside, you need to present yourself as a strong and confident woman on the outside. It’s really about being true to who you are and letting your inner beauty shine. Also, it’s not about how much makeup you put on, but what you put on and where you put it. I always aim at making the skin look good and bright. I obviously love the classics like Audrey Hepburn and Sophia Loren. Back in that era, women were just so beautiful and well put-together. Purely in terms of makeup, Jennifer Lopez always looks gorgeous. I really love how Gwen Stefani pushes the envelope and is true to her style, so she always ends up looking great. I recently did a client’s makeup based on Adele’s makeup at the Grammys a few years back. There is tons of inspiration out there. What are your top five must-have beauty products? Yves Saint Laurent Touche Éclat: Even though it wasn’t designed to be a concealer, it has become that for me because it doesn&apos;t crease, is super-light (so it doesn&apos;t matter how many fine lines you have) and it brightens like no other. Shu Uemura Ultimate Natural Mascara: I curl my lashes, so I need a mascara that will hold the curl and give a bit more length. A great budget alternative is L&apos;Oréal Paris Voluminous False Fiber Lashes Mascara. Shu Uemura Ultimate Natural Mascara. Bobbi Brown Blush and Bobbi Brown Bronzing Powder: I love the Golden Light bronzer because it is matte and doesn’t have any of the usual shimmer you find in bronzers. The Peony and Apricot blushes are also great for brightening up the face. Paula Dorf Brow Gel: It’s just clear gel, and yet somehow it makes a no-makeup face look more groomed and pulled together. NARS Larger Than Life Lip Gloss in Born This Way: I discovered this after my favourite Chanel lip gloss was discontinued. I like to layer it over Shu Uemura Rouge Unlimited Lipstick in PK325. Dermalogica Age Smart SkinPerfect Primer SPF 30: I’m usually not into primers—other than for a special occasion—but this one has SPF 30 and all kinds of great anti-aging stuff for your skin. Stila Illuminating Powder Foundation: I’m not a fan of liquid foundation. Laura Mercier Loose Setting Powder: I think it’s really important to use a translucent powder to take away shine and help with even coverage. Bobbi Brown Eyeshadow: In Slate, Taupe and Stone. Urban Decay Naked Palettes: These are great for experimenting with a bronzy summer look. Bobbi Brown Shimmer Brick Compacts: I use these all year round. It’s a great example of shimmer that doesn’t have too much glitter or sparkle. I think after the age of 13, wearing glitter is not the best idea. Guerlain Terracotta Light Sheer Bronzing Powder in Sun Brunettes: It gives you the JLo glow without looking ridiculous. Bobbi Brown Long-Wear Cream Shadow Stick in Sunlight Gold: This is nice for summer, especially if it’s all you want to wear on your eyes. I also use it as a primer if I’m using a more opaque shadow. Bobbi Brown Long-Wear Cream Shadow Stick in Sunlight Gold. Giorgio Armani Face & Eye Palette in No. 1: It acts kind of like a cream-to-powder formula—though it isn’t—which makes it perfect for vacations when you want to take your look from day to night. 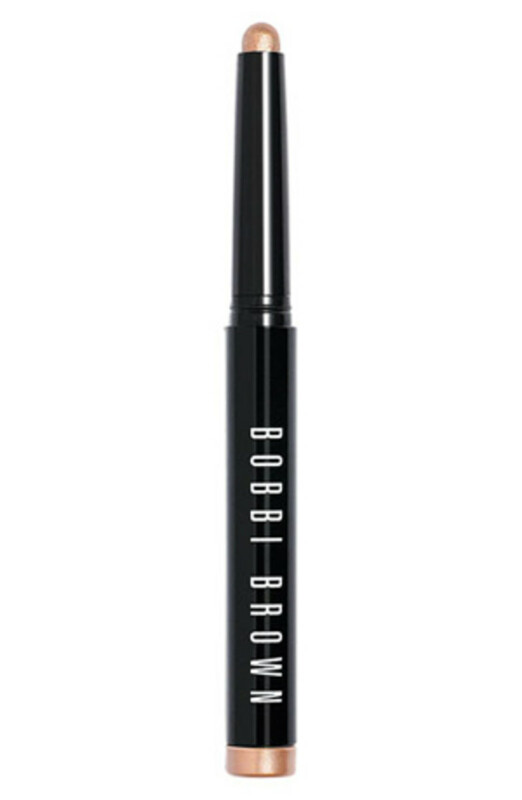 Bobbi Brown Face Blender Brush: I love this brush for bronzer. MAC 266 Small Angle Brush: The best angle brush out there if you’re lining your eyes with powder because it has the perfect density, thickness and stiffness. Bobbi Brown Eye Shadow Brush: I never leave home without this or a spoolie brush. A good brush can make any eyeshadow awesome, so it’s worth it to invest once you know what you like. 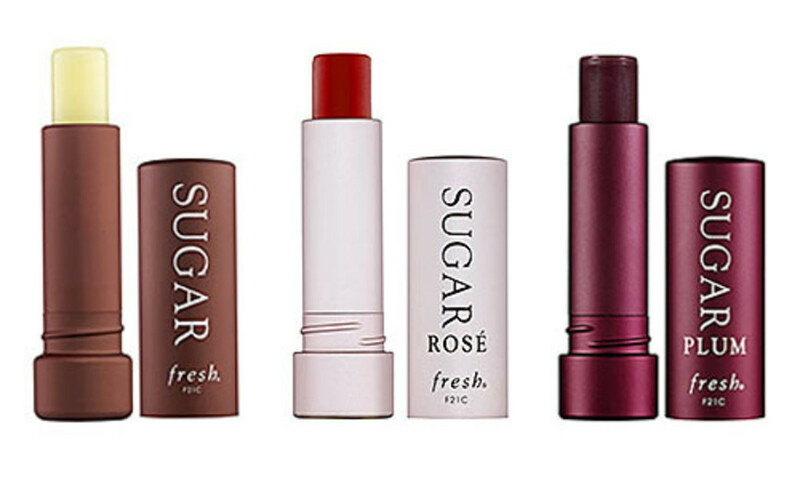 Which beauty products are worth splurging on? Skincare. Though there are some great drugstore moisturizers out there, you really want to buy quality when it comes to specialty items like vitamin C serum or eye cream. Also, face makeup and concealer are worth the money, so you get a better colour match. When it comes to eyeshadows, lip glosses and mascaras, there are a lot of great cheap and cheerful buys. It’s a great way to experiment with colours that may be a little bit out there. What was your first fragrance? My first fragrance was Love’s Baby Soft, which I found at an &apos;80s party. It smelled like perfumed baby powder and it was heinous. I then graduated to more mature fragrances like Exclamation, Benetton Colours and The Body Shop’s White Musk. I like the idea of layering fragrances. 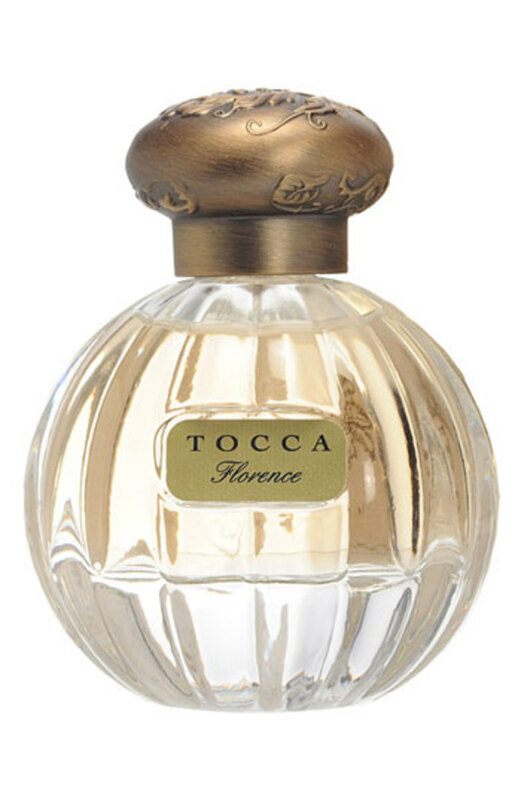 Florence by Tocca is sort of my signature scent but I also like to layer Chloé with L&apos;Aromarine Vanille Eau de Toilette. What was your biggest beauty fail? Definitely the Niki Taylor brow disaster! What’s your beauty pet peeve? It peeves me when you can see a space between someone’s eyeliner and their lash line. It’s just because they’re not angling the liner right and it can be so easily fixed. I’m also not a fan of clumpy mascara or anything really extreme like super-pointy nails or over-tweezed eyebrows. Take care of your skin and eyebrows, curl your lashes and wear blush. These I consider to be the keys to youth as they brighten your face and make you look younger. What’s your advice for aspiring makeup artists? Persevere and make it happen. Be prepared to volunteer and do anything you can to learn about all of the facets of the business. There are so many different areas you can get into and you really want to get as much experience as possible so that you can decide where you want to be and what role you want to play. Be a sponge and soak up as much as you can. If you can, find a mentor who will let you observe them and tag along to their jobs, be it a wedding or a photo shoot. In time, you’ll be ready to get your hands dirty. Find more from Alisha on Facebook, Twitter or her website. How do you feel about Alisha’s beauty (and brow) philosophy? How do YOU keep your brows in tip-top shape?